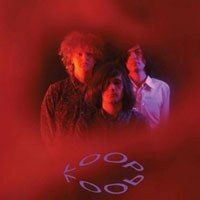 Derided at the time as pale imitations of Spacemen 3, the US reissue of Loop's entire recorded output gives us a chance to consider them on their own merits and rescue an underheard band from total obscurity. Robert Hampson formed Loop in 1986. The band lasted until 1991, in which time they made three studio records (the combined running time of which is only about a minute longer than Swans' current opus The Seer): Heaven's End in 1987, Fade Out in 1989, and A Gilded Eternity in 1990. The band had some success in their native UK, with their last two album topping the UK Indie chart, but only A Gilded Eternity was even released in North America. Such are the facts, as tepid as they are, but they don't answer the question of why the UK press at the time tended to treat Loop and Spacemen 3 (who predated Loop but released albums and broke up around the same time) as a zero sum equation, or why the latter's music was better received across the pond, or why Sonic Boom angrily insisted that Hampson and co. ripped their whole act off from Spacemen 3 (right down to Sonic being the one to give them their first taste of acid), or why you, in 2012, might care. More new music is being released every year than a person could possibly consume and here, in lovingly restored and augmented form, is the recorded output (the three albums and a massively beefed up version of early singles comp The World in Your Eyes) of a band that not that many people paid attention to the first time. If Loop really were just a pale reflection of the mighty Spacemen 3, these reissues, which appeared in the UK in 2008/9 and are now being released in North America, would be of limited interest, but when approached with an open mind they reveal that Loop was far more distinct, and vital, than their reputation at the time suggests. I was talking with a friend about the differences between the two groups, and he noted that just on a sonic level Spacemen 3's take on post-Velvet Underground/Stooges/Suicide psychedelia was much brighter and treble-based than Loop's endlessly churning murk. If both are guitar-heavy, druggy bands, Spacemen 3 seems to be more reflective of the positive, expansive side of the drug experience (even when they're singing about overdosing), whereas Loop are darker, more insular, concerned not so much with bad trips as just the dark side of even positive drug experiences. To put it another way, if Spacemen 3 construct an Us vs. Them where the listener is at least implicitly invited (through their own drug use or even just listening to the music) to become part of the clued-in Us (For All the Fucked-Up Children of This World We Give You Spacemen 3, Taking Drugs to Make Music to Take Drugs To), Loop construct an Us vs. Them that not only situates everyone else as Them, but also seems to completely ignore everything but the Us. Both bands owe a heavy and acknowledged spiritual debt to the Stooges, but neither have a singer with Iggy Pop's wired charisma (who does? ), which Spacemen 3 dealt with by having two singers with an almost proto-slacker charm. Loop don't even try and replace that element. Hampson's vocals aren't inaudible or rare, but they tend to come in from the sides or exist underneath the roiling churn of Loop's music. There are slogans in Loop's music, not narratives; emotions, not characters (not even the omnipresent "narrator" character most rock bands have); atmosphere, not songs. Heaven's End found their aesthetic solidly in place from the guitar murk and whammied riffs piling up at the beginning of the opening "Soundhead". The multi-part "Straight to Your Heart" (heavy, grinding slabs sandwiched around a floating midsection) nails the emotional tone of much of Loop's material well; the titular sentiment is neither hostile nor menacing, but something about the timbre of Hampson's voice and the vagueness of the sentiment becomes both over the course of the song. Meanwhile, the brief "Head On" manages to be both heavier and faster than the Jesus and Mary Chain song of the same name from a few years later. The title track here is the only actual instrumental on the band's three albums, but it plays just like the rest of Loop's songs; like them, "Heaven's End" doesn't follow a verse/chorus/verse structure so much as just layer on riffs, patterns, well, loops until a pleasingly thick miasma is achieved. If Hampson's vocals were more prominent, Loop might be some sort of avant garde garage band; if they were softer or the songs had more a pop or even rock structure they might be a shoegaze band. As it is, even on their debut they're out in the middle of territory somewhere out past both of those types. All three original albums now come packaged in LP-style sleeves with bonus discs, collecting contemporary Peel Sessions and live tracks, demos, alternate mixes and the like. The extras for Heaven's End boast two versions of Suicide's "Rocket USA" (entertaining enough but too close to the source material to be revelatory) but the real prize here is a ten minute Peel Sessions version of "Straight to Your Heart" that confirms the impression that most Loop songs could basically go on forever if you needed them to. The various original and live versions here confirm that Hampson and the rest of Loop didn't take long to work out exactly what they wanted to sound like and didn't deviate much once they hit that sweet spot. Heaven's End doesn't feature any of the kind of offshoots you sometimes get from the early work of bands with distinct sounds; it's all of a piece. If Loop's first record already established their basic sound, though, it's Fade Out that masters it. The seething "This Is Where You End", the slow motion fuzz of the title track, the wailing "Torched", the lurching pulse of "A Vision Stain" - on a song-by-song basis, this might be the quintessential Loop album, the sound fans think of when they think of the band. The lushly fuzzed-out band photo from Heaven's End has been replaced with an almost featureless matte grey cover that has the album title and Loop's new logo (the band's name distorted as if it were melting or under water) in one corner. At the time it was regarded (for better or for worse) as more of the same, but with more distance it's actually the most immediately ingratiating Loop record. The extras are also more intriguing than the first album's; in addition to things like a great, tinny edit of "Black Sun" and a fierce, bass-led Peel Sessions version of "This Is Where You End", the disc includes five tracks labelled "Fade Out Guitar Loops". They clock in at just under a combined 13 minutes, and if they were actually used on the material included in Fade Out itself it's not immediately apparent where (I, at least, don't hear "Fade Out Guitar Loops III" and go "oh, that's obviously from 'Fever Knife'"), although they do seem to be building blocks of some sort. But they're also compelling in their own right, sounding at times like brief forerunners of, for example, Eluvium's Lambent Material. 1990's A Gilded Eternity marked the end of Loop's development, and even now I can't decide if I think that's because they'd taken their sound as far as they could or if A Gilded Eternity is instead a teasing glimpse at where the band could have gone if they'd stayed together. Hampson's vocals are, if anything, even more in the background than before, a smoother vocal filter matching with a newly remote tone in his voice; he sounds almost ghostly on the opening combination of "Vapour" and "Afterglow". The music here is just slightly less concrete than what Loop were doing before (even if songs like the vicious "The Nail Will Burn" confirm that they haven't really mellowed); Loop belongs to neither genre, but if the first two records had a certain punk-esque charge to them, A Gilded Eternity is their equivalent of the post-punk turn. The fractured, hazy "Blood" marks the most abstract point in Loop's discography, and by the time of the closing "Be Here Now" the band seems just about ready to discorporate in front of you, despite the music remaining dense. Fittingly, the band's best album also has the best bonus disc. The demos of album material (sometimes instrumental, sometimes truncated) are more distinct and thus more edifying, the Peel Session is their strongest yet (featuring a fascinating "Afterglow" with odd bits of feedback spiking the song and a gorgeous version of "Sunburst"), and then there's "Shot With a Diamond". When Loop split, Hampson and guitarist Scott Dowson went on to form Main, which would eventually shed Dowson and the guitars that were the initial focus of the project to focus on field recordings and pure sound (the rhythm section of John Wills and Neil Mackay would play together in Hair & Skin Trading Company until 1995). "Shot With a Diamond" doesn't exactly sound like Main, but it's a hell of a lot closer than anything else Loop ever did. It sounds like it's composed entirely of room tone, metronome-like cycling clicks, and Colonel Kurtz samples. If Loop were more popular, it'd probably be the great, odd lost classic of their discography. The World in Your Eyes is in some ways the most interesting Loop release, just because it's the least monomaniacal. The original version (released between Heaven's End and Fade Out) contained the band's early singles, some of which don't appear on the albums. There's variance there, but not a ton; "16 Dreams" is a little clearer than Loop tend to be, and "Brittle Head Girl" is surprisingly gentle, but the likes of "Burning World" and "Deep Hit" are just more of the same riches for fans to explore (that's not a complaint). The reissue bulks The World in Your Eyes up to three discs by adding in the material from other sundry compilations (although the Wolf Flow Peel Sessions disc has already been broken up among the bonus discs) and… pretty much everything else available. 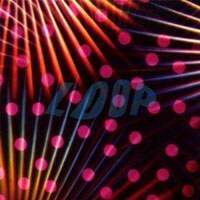 As a result, we get everything from Loop's great lost single "Arc-Lite" (in three versions, plus the instrumental demo found on the A Gilded Eternity bonus disc) and the Loop half of the Loopflesh/Fleshloop split single they did with Godflesh (Hampson would go on to play guitar on the Pure album) to a truly monumental live take on "Burning World", outliers like the baleful "Circle Grave", and surprisingly reverent covers of songs by the Pop Group, Can, Neil Young, and even Nick Drake. The sprawling result is half an hour longer than Loop's original albums put together but is both surprisingly varied and consistently excellent. These nine discs, almost seven hours of music, contain the entire recorded output of Loop. That might sound like a lot of material to go through for a band that's still almost unknown in North America and mostly forgotten overseas, that spent most of their career fighting comparisons to a band that, while sonically similar to an extent, had almost completely different vices and virtues than Loop. They were also a band that seems to inevitably be a hate them or love them proposition. "Be Here Now" might be nearly ten minutes long and "Head On" under three, but you can picture them at opposite lengths; every Loop song seems like it could last forever. Whether Loop's consistency seems like an admirable purity of vision or a refusal to leave their own well-ploughed furrow, these four releases make a strong argument that Loop deserve better than the dustbin of history.